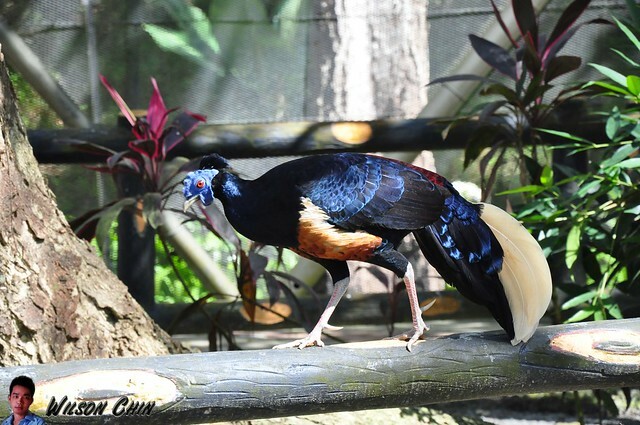 My next stop is the Labuan Bird Park. The entrance fees is 3 bucks for adults and 1 buck for kid per entrance, and the ticket lady told me if this month is my birth month, I can go into the park for free “nice”!!! 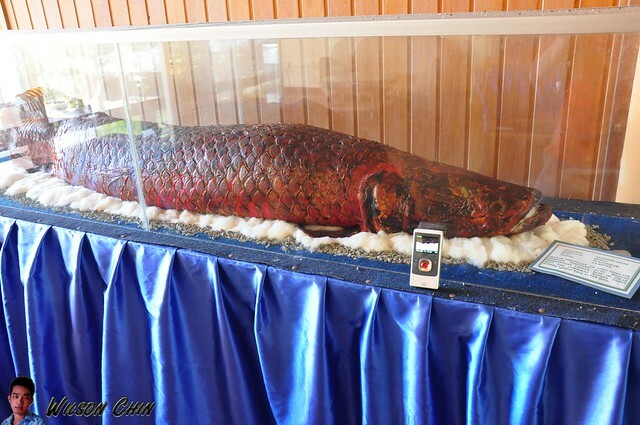 Labuan Bird Park located on a 6.9 hectares of land with a futuristic looking dome structure complemented by a traditionally shaped timber building. 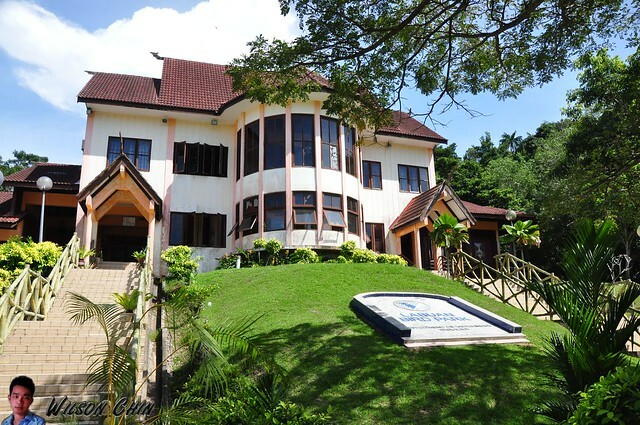 Strategically situated at Tanjung Kubong, 16km, North of Labuan Town, the park lies next to a century old, but historical and significant coal mining chimney which itself is tourist landmark. I will post about that in my next post. 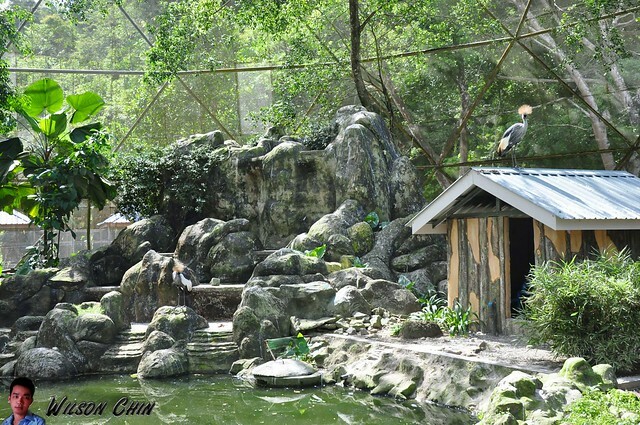 I visited the Penang Bird Park before (click here to read), and don’t like it there. 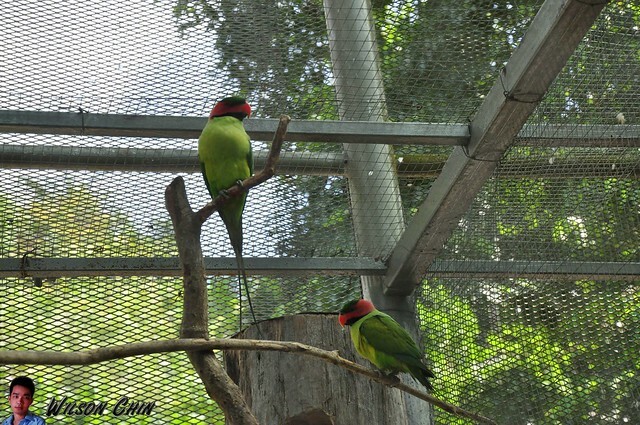 The Penang Bird park is expensive, boring, and the owner is rude and impolite. Huey, Dewey, and Louie... wait a min, where's Louie? Its time for some haircut.. In the park, it also have a playground which is for kids to play. 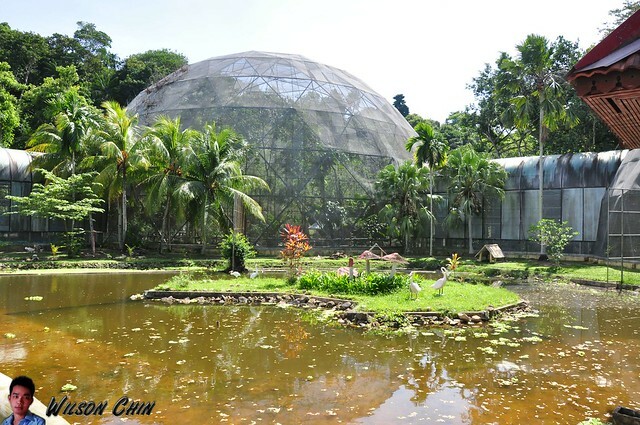 And I start my visit by entering the Bird Sanctuary Area, it has 3 geodesic domes. 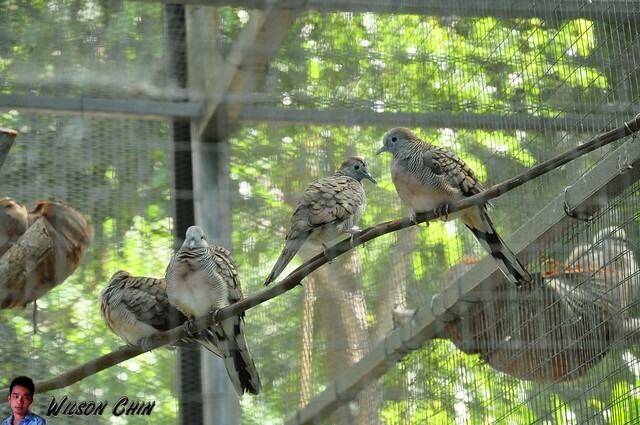 And inside the dome, they planted a lots of trees, flowers, build cage to keep some of the birds separated. My dear reader, when you are inside the dome, there will be birds flying above you, and be careful cause they will drop ‘bomb’ from above. For me, the ‘bomb’ nearly hit me -_-” luckily I know kungfu, and can avoid. 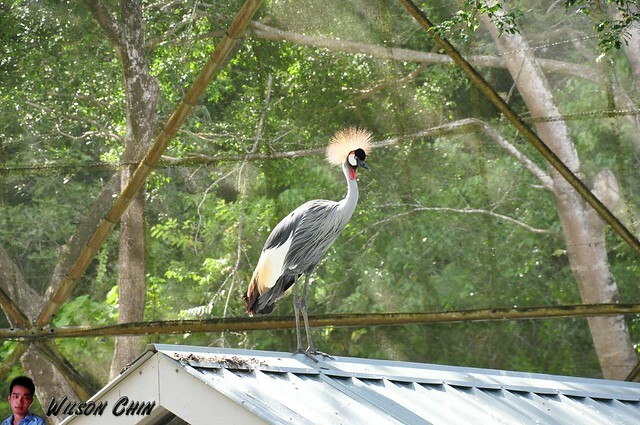 Just next to the dome, they have a aviary houses which avian birds of all species, it also serve as an information center. But sadly its not well maintain, as the stuff are old, dusty, and no one was there to look after the stuff when I visited. I wanted to visit the toilet to pay my water bill, but the door was locked too, so how am I going to pay my water bill?!?! directly on the plant nearby? 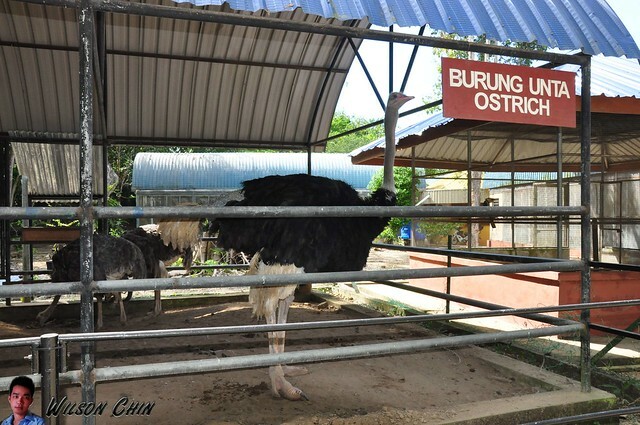 They have 3 ostrich there, and they are really huge!!! Taller than me, I tried to trow some food for them (the leave I pick from nearby) but they don’t want to eat it.. sigh..
What I like the most if the Myna Birds, as they can imitate human voice. 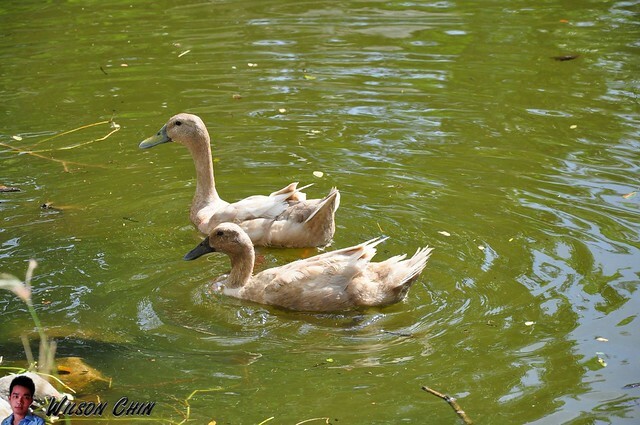 Some of them knows how to say Hello, how are you, I love you, and a few simple Chinese word. One of my visit to Bintagor (click here to read) my friend raise it too at the back of his house. 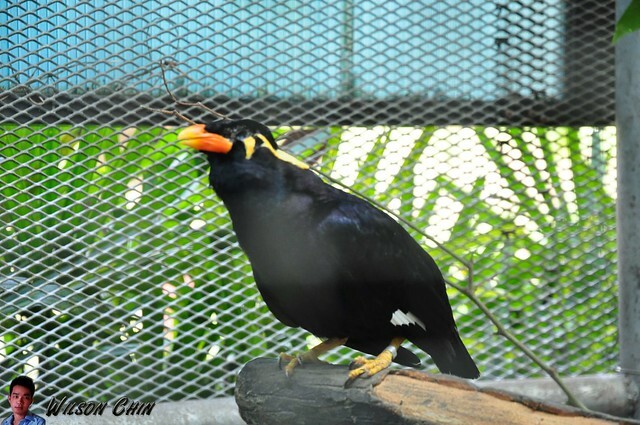 So if you have a Myna Bird, what will you teach the bird to say? 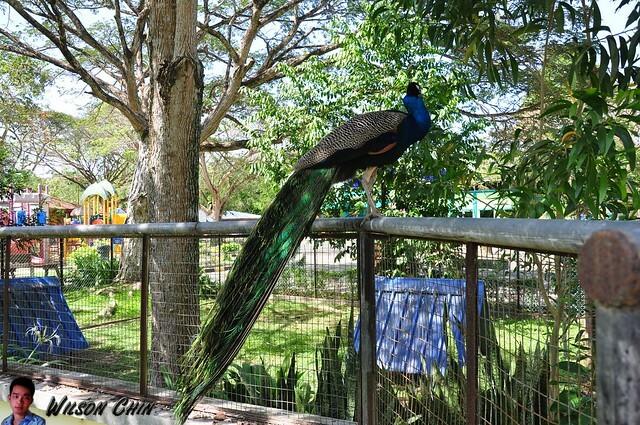 The peacocks just run freely inside the park, but when I tried to get closer to them they will run away. 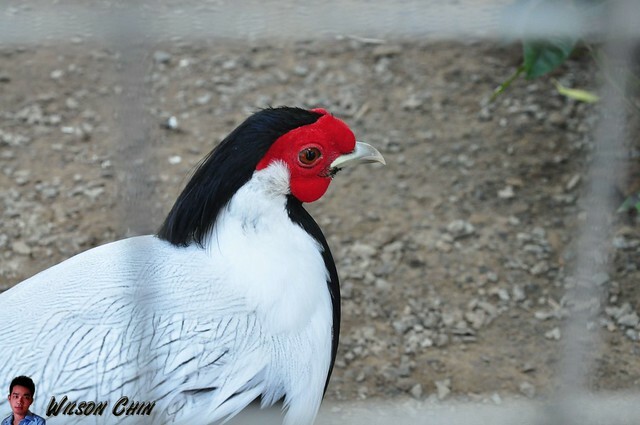 I was hoping that they will show off their beautiful tail feathers, but the don’t. 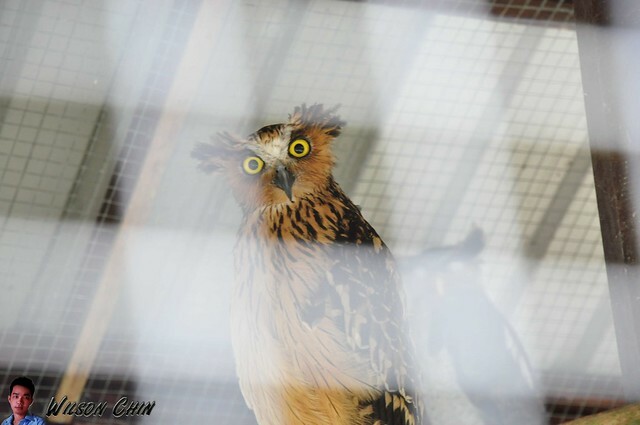 Hey, what'da ya looking at!! !